I can’t count how many times the topic of conversation has turned to “Big Pharma”. Often people ask me my thoughts about Big Pharma (or the drug manufacturing business). I have a love/hate relationship with them. I’ll explain. I think of them as extremists in a way. When they do something right, they do it very very right (with the help of the medical community). When they do something wrong, it is dismal. Here are some examples in my life. In 2001, I had a major heart attack in which I had no cardiologist. So I was assigned one; and he happened to be the worst in town (I was told later before they ran him out of town). He performed an angioplasty, and sent me home with a lifetime of drugs, not asking me much about my medical history and/or reaction to the drugs. I guess since I don’t look like Bill Gates, he figured my education and/or ability to research was zilch, so it wouldn’t matter if he gave me the very worst cheapest of all the meds he prescribed. I was waiting for my 6 month checkup in his office when he was called away to an emergency at the hospital and all of us in the waiting room had to go home. He fired me in a “matter of fact” letter the very next week (gave no reason), and I learned that within a month later he was asked to leave the hospital for sleeping with too many married patients, many of whom were married. His wife was not thrilled about that activity either (she discovered charges for two to the Caribbean etc. when he was “going alone to Chicago to a medical convention” and other such charges. Oh well. Anyway, they assigned me a wonderful younger cardiologist in 2010 and he had to perform 2 surgeries. He looked at my meds and tossed them, giving me the best in each category. Since my insurance didn’t cover Crestor for cholesterol, he made sure I got 6 weeks worth of samples whenever I needed them as did (and does) my wonderful GP. They both look after me. What a chance from a Don Juan has-been who fired me because he had to leave before the appointment. The new drugs along with my own mixture of medicinal hearth-healthy immune boosting herbs helped me heal within a year, and in better shape than when I was in my twenties within three years. It was no piece of cake, but I know the drugs helped a great deal. I do blood tests every 4-6 months and can see the dramatic difference. I’ve switched to a mostly raw vegan diet. I hike mountains 2-3 times a week. Three years ago getting out of bed was a chore (for months). On the other hand, 28 years ago, my mood dropped when I was in college and running my health food store and I went to the campus psychologist. I told her I had depression so she didn’t test me to see if I might be wrong, she started what became a long term talk therapy along with psychiatric drugs from psychiatrist referrals. Though they all were great cheerleaders over the years of how much better I was getting, I knew I was not. In fact if anything, worse. I began to research. Maybe I didn’t have depression, but if I didn’t, what could it be. One afternoon around 1996, I was at a friend’s house reading a New Yorker Magazine. In it was an article about something called “VNS Therapy” or Vagus Nerve Therapy. It had been approved for a decade for TRE (Treatment Resistant Epilepsy) but studies were still being done for TRD (Treatment Resistant Depression) which is a bit of a misnomer in that it is not depression at all but a vagus nerve issue. The vagus nerve runs up the chest to the brain and is the longest never in the body. Until recently, not much was known about it. Now thanks to worldwide research and clinical studies, much is known about it. It is estimated that approximately 2 million of the estimated 20 million people who think they have depression, don’t. 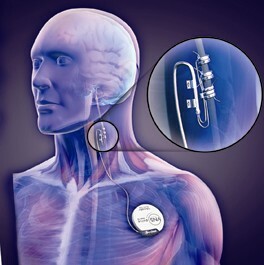 They have a vagus nerve issue, and the only treatment is VNS (which is a magnetic implant installed In the chest and prompts it to function properly. Big Pharma and the insurance companies fought it tooth and nail, as the studies showed it was getting much higher success rate than the older (and newer SSRI) depression drugs. Big Pharma, with all the good it does, does not like something that is not a drug taking money out of their pockets. They proved that with St. John’s Wort again a bit earlier. Though major European hospitals and doctors prescribe St. John’s Wort as the primary treatment for even the most severe depressive disorder, the FDA let it stay legal in the U.S. if the vendors would label it, “May help minor depression”. And of course, very few American doctors recommend it or prescribe it; though it has proven to work better than potential dangerous psychiatric drugs, but the traveling drug salespersons in America don’t sell St. John’s Wort, hence who would make the money. Yes, sadly, bottom line is a very major force in American medicine. And it is not that it this is not so in European countries, it is that the medical community makes getting the patient well, even if it means less money (and it often does), a primary issue. Hippocrates “Doctor do no harm” is taken very seriously there, and one does not have to be an Einstein to know that some of the most commonly prescribed drugs are killing and shortening the lives of people daily. I am not against prescribing drugs when they are needed. I am, like the Europeans, for the patient having a choice of what type of drugs, what type of medical modicum; such as allopathic or naturopathic, etc. They are living better and longer and I imagine that might be one of the reasons. It is also much more freedom than we have here in the good ol’ USA. And don’t get me wrong, I love America and don’t want to live elsewhere, there is much we can learn from countries that have been around centuries longer than we have (and learned from their mistakes). In September of 2004, VNS was approved by the FDA for TRD. I contacted the manufacturer, Cyberonics in Houston, Tx. And immediately got a caseworker. There were still some hurdles. Many. My current psychiatrist who was using drug and talk therapy told them I was doing 100%+ better in the past year (which was a lie). Finally he had to provide proof and of course he had none. I was honest in therapy and simply said, This isn’t working”. The doctor was certain it was my imagination. Turned out to be his. 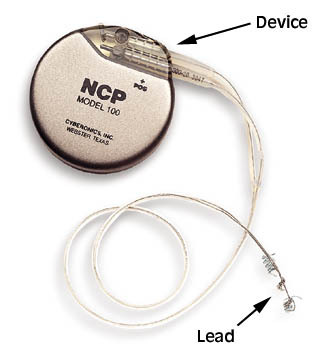 On January 25, 2006, I had the VNS implanted at UAMS in Little Rock. I awakened 45 minutes later with no “depression”; none because I never had it in the first place. I spent seven years depression-free. Well, I say depression-free but a more precise diagnosis would be mostly depression-free. I awakened to days that were better than others; but none of the heavy “I can’t make it through this” existed. Then last week I went for my quarterly “tune up” (yes a psychiatrist uses a magic computerized wand that he placed on the device in my chest (against my skin) and tunes it to how a working vagus nerve works in the body. Now I’m facing another obstacle. The lithium battery in the device only lasts 6 years; I’ve been fortunate mine has lasted seven but it is time to get it changed. Since the time I was blessed to have the surgery, Big Pharma and the insurance companies have changed the status of VNS for depression back to “experimental” from “approved”. It is still approved if one wants to pay cash (about fifty thousand dollars for it), but not covered by insurance). That includes accessories such as batteries. Big Pharma will do what it has to do not to lose money on its drugs. And it did this to me. I called Cyberonics who assured me they will donate the device/battery, if a surgeon will donate his/her time to install it. I am working on that now, and will keep you updated to how it works. I’ve been thinking about it this week, and I’ve also been fortunate enough to discover kratom this year. How in the world would I make it without kratom; especially if it turns out I cannot get the battery for my device. That sounds like “Rick must get high from that kratom herb”. Anything but. I suffer from chronic severe pain due to neuralgia and several other ailments, which is a pain so severe it would cause constant depression in the toughest of humans. I’ve had two major heart attacks, three surgeries for it, and nothing, not those attacks, surgeries or anything else has come close to the pain this neuralgia causes. With kratom, I cannot feel the pain after years of living with it. I hope and pray I get my battery for my device. But if by some chance I don’t, I have a safety net. I know God is looking out for me, and I feel very blessed. Rick London is an outspoken proponent to keep the medicinal herb kratom legal. He tends to promote the best kratom on the planet which, according to him is at Kratom-K.com. 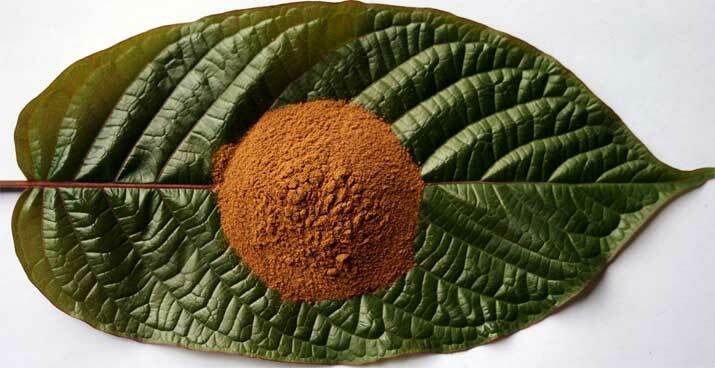 If one enters the word “kratom” in the coupon code at checkout, they receive an extra 15% discount. London is an author, songwriter, designer and cartoonist. He is best known for his Google #1 ranked offbeat cartoon, Londons Times Cartoons and Funny Gifts.